Accused Waffle House shooter Travis Reinking pleaded not guilty on Wednesday morning on charges related to the 2018 shooting at the Antioch restaurant. 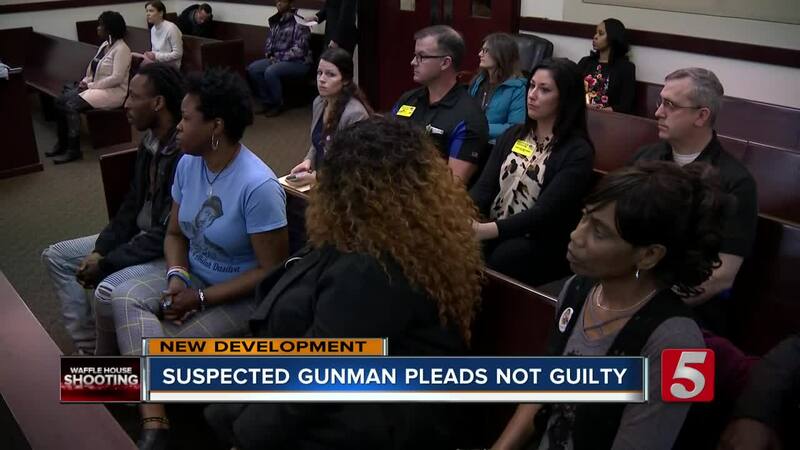 NASHVILLE, Tenn. (WTVF) — Families of some of the victims killed in the Waffle House shooting in Antioch last April joined together for the suspect's latest hearing. Travis Reinking wasn't in court but his public defender Jon Wing entered a plea of not guilty on his behalf to 17 charges including four counts of first-degree murder. The suspect is accused of killing four people and injuring other customers when he opened fire inside the restaurant. 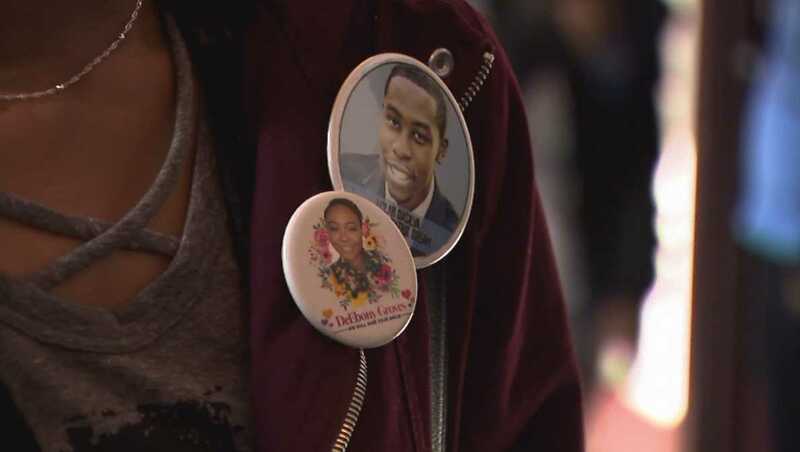 In the courtroom were the families of Akilah Dasilva and DeEbony Groves, who wore t-shirts and pins to honor their loved ones. "We've always represented our baby but today Dasilva and myself decided to swap and so we're going to encourage and represent each of his family," said Shirl Baker, DeEbony Groves' mother. While the hearing lasted for barely 20 seconds, the families who attended said it was worth their time. 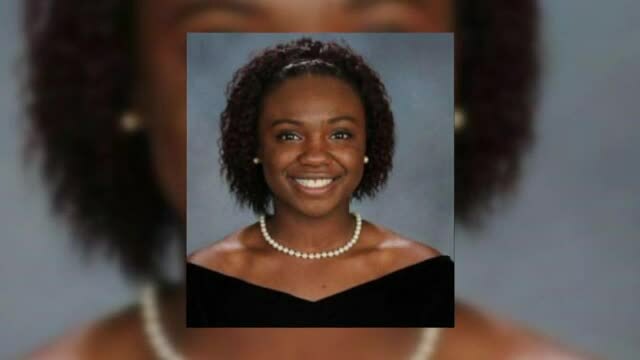 "I'm just happy that we're moving forward," said Shaundelle Brooks, Akilah Dasilva's mother. "It's a healing process for me so I want to be there for everything." The Dasilvas just returned from Washington D.C. as they continue to fight for gun reform laws following the shooting. They also continue to pursue a civil lawsuit against the father of Reinking who reportedly gave back guns to his son when he shouldn't have. Baker said while the year has been tough for the family, attending the hearings helps her stay updated. "The weight is still heavy, this loss is still heavy but we're enduring," Baker told NewsChannel 5. "I lost my baby, I lost a chance to see her graduate, I lost the chance to help her plan her wedding, so, I feel like it's my right to be here to know what's going on." Taurean Sanderlin and Joe Perez were two of the other victims killed. Crosses commemorating all four victims remained posted outside of the Waffle House. The restaurant's management team was also in court to show their support. The motive remained unknown. A trial date has not been set. Reinking has been deemed competent to stand trial.